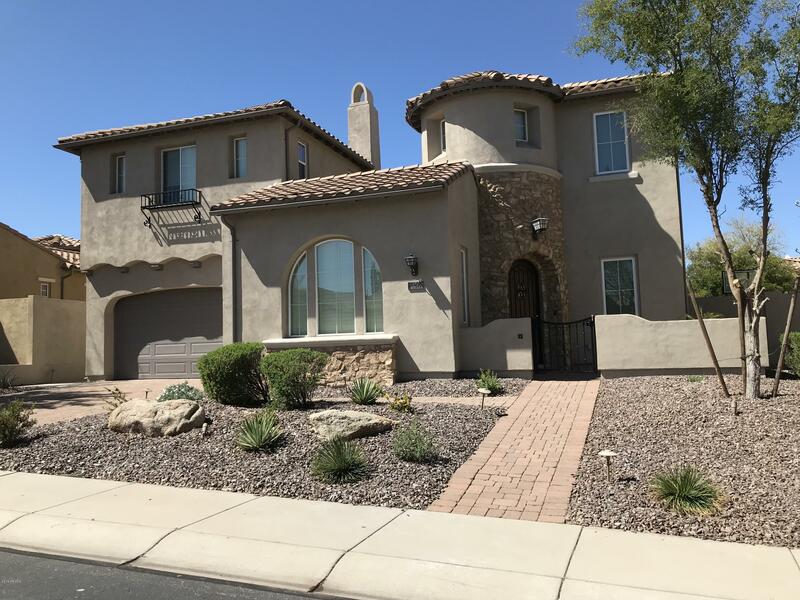 All SONORAN MOUNTAIN RANCH homes currently listed for sale in Peoria as of 04/24/2019 are shown below. You can change the search criteria at any time by pressing the 'Change Search' button below. "BEAUTIFUL VIEWS! LG CUSTOM SINGLE LEVEL HOME. SOARING 10 & 11 ft CEILINGS,3 BEDS PLUS DEN, 3 CAR, SOLAR HOME! SPEC VIEWS OF THE SONORAN MOUNTAIN DESERT. SPACIOUS MASTER SUITE SPA LIKE MSTR BATH WALK IN SHOWER, TUB, HUGE CLOSET, & BARN DOORS. KITCHEN OPENS TO GREAT ROOM WITH FORMAL DINNING PERFECT FOR ENTERTAINING. SHUTTERS. LARGE LAUNDRY ROOM W BUILT IN DESK. OUTDOOR LIVING AT ITS BEST WITH A BEAUTIFUL PEACEFUL COURTYARD AREA WITH FIREPLACE. THIS HOME IS A MUST SEE! 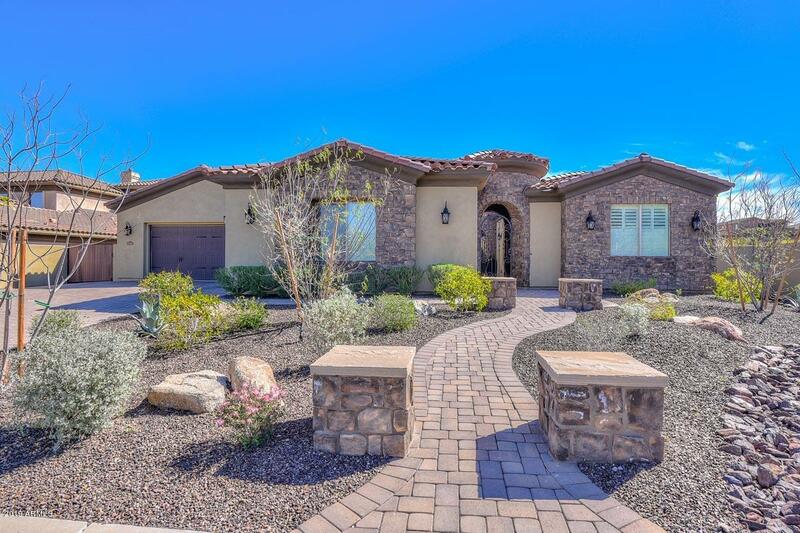 SITUATED IN A BEAUTIFUL GAT"
"Gorgeous Tuscan home, built by Camelot, is located in the heart of Sonoran Mountain Ranch. This home is move-in ready and steps to an amazing hiking trail with breath taking views. The dramatic, rounded foyer leads you to an elegant formal dining room. The plantation shutters throughout home and romantic courtyard let in natural light. The courtyard also hosts a lovely gas fireplace. 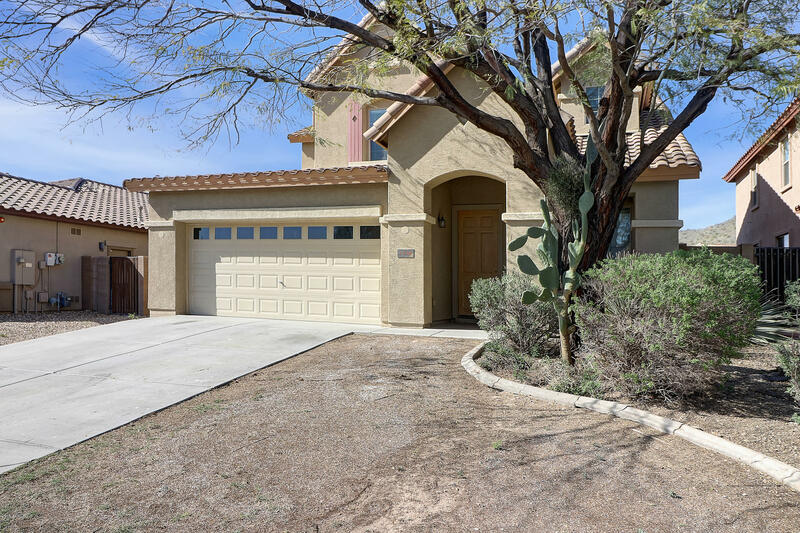 A neutral paint pallet throughout home will allow you to bring your own tastes into this desert dream home.The ch"
"CHECK OUT THIS GREAT HOME IN SONORAN MOUNTAIN RANCH! NICE FLOOR PLAN WITH 4 LARGE BEDROOMS, 3 BATHS AND UPSTAIRS A SPACIOUS LOFT. NEWER PAINT AND CARPET THROUGHOUT. FORMAL LIVING AREAS. LARGE KITCHEN THAT OPENS TO THE FAMILY ROOM GREAT FOR ENTERTAINING. THIS HOME IS A MUST SEE!"